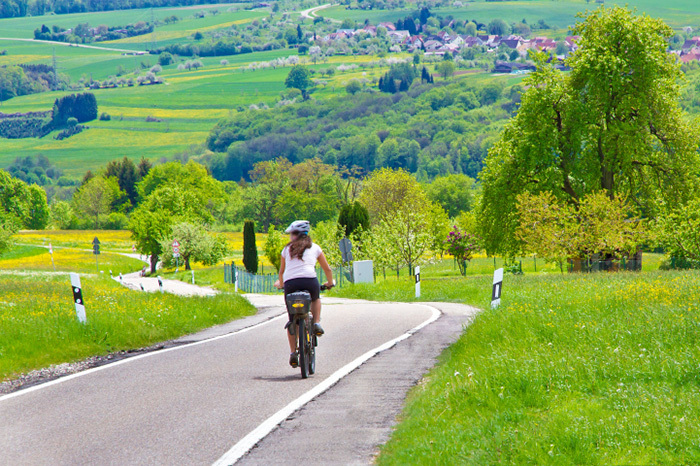 Germany has opened the first three-mile stretch of a bicycle highway that will eventually span over 62 miles, connecting 10 western cities including Duisburg, Bochum, and Hamm, as well as four universities. And this highway is an entirely separate roadway that will remain completely car-free. Like a traditional highway, this bicycle highway has passing lanes, overpasses and underpasses for crossroads, and even streetlights. However, cyclists won't have to worry about trucks zooming by or bus lanes. It's just a clear path for miles and miles. In a study completed by regional development group RVR, it's projected to take 50,000 cars off the road each day.